Truckee Winter Activities - Tons to Do in Truckee, California! 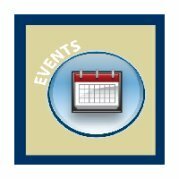 Truckee Winter Activities Abound! 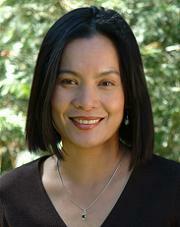 There is always something to do for the Sports Enthusiast! 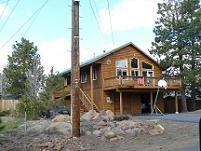 My family loved living in Truckee! Every Sunday was Ski Day! My son became an expert skier during the four years that we lived in Truckee, and my daughter could tackle some of the Intermediate terrain. I, on the other hand, never graduated from the Bunny Slopes much to my dismay! Our first year living in Truckee, we hit up the Truckee Donner Recreation & Park District (TDRPD) Ski Swap Sale to get the kids outfitted with Ski Equipment, since I worked for them. 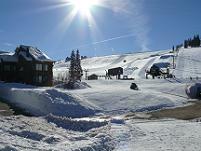 We signed them up for the TDRPD Learn to Ski program at the Tahoe Donner Downhill ski area which included a season pass. 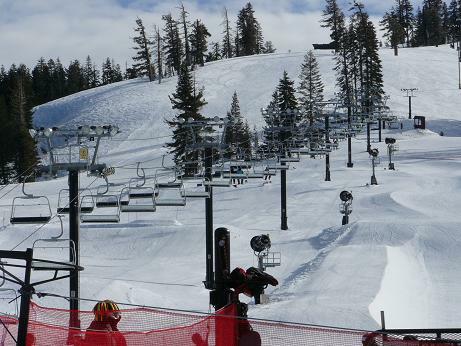 Tahoe Donner Downhill is a fantastic area for beginners to learn to ski! After getting the kids set up, there was no money left for skiing lessons for ME! I struggled around on the Bunny Slopes without lessons, and tried to overcome my horrible fear of heights by getting on the chairlifts. One season, one of my knees was acting up from an old injury, and I couldn't turn on that knee...thus ending my skiing for the season. 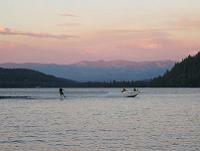 Now that I'm contemplating moving back to Truckee, I've promised myself that I will indeed Learn To Ski!! 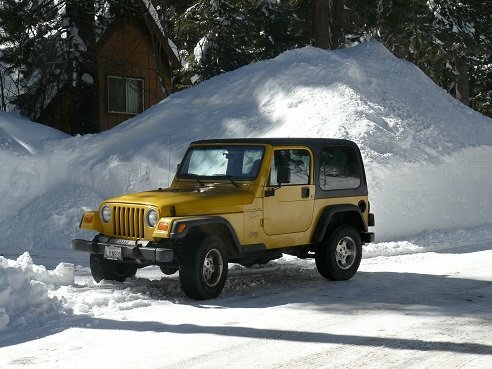 Our first winter in Truckee, my son Ryan, who has never met a stranger, had a "nice chat" with our snowplow service driver in Glenshire, and convinced him to "at all times", create a ramp on one side of our driveway, thus making the perfect sledding hill! Countless hours of winter fun, tubing, sledding, and building snow forts followed, and our house became the neighborhood house to go to. 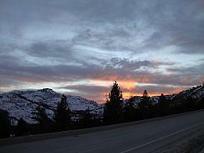 My kids have both said that growing up in Truckee was a fantastic experience for them!! P.E. was the favorite class and both kids learned how to Cross Country Ski and Snowshoe during school classes. Our final year in Truckee, Ryan changed schools and started attending the Christian School at Truckee Sierra Bible Church, close by Northstar-At-Tahoe. P.E. 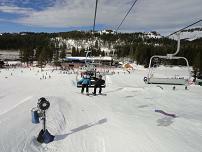 in the Wintertime consisted of one day a week spent at Northstar skiing! 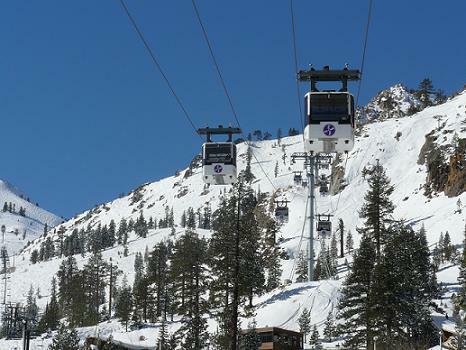 Riding the Cable Cars is a Truckee activity that will make your Truckee Vacation spectacular! You won't find better views than at the top, and there are lots of fun activities at the top!! 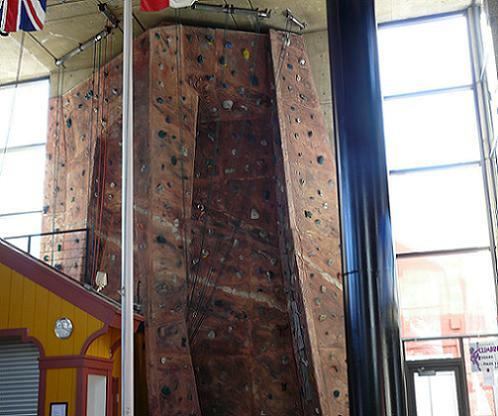 Some of the Climbing Walls in the Truckee area are for summer use only, while some are open Year Round, including the CommRow Wall in Reno, the tallest competition climbing wall in the World! 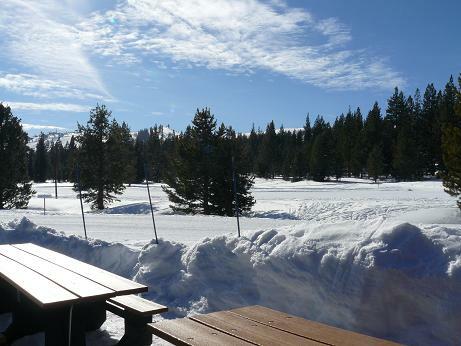 Truckee Cross Country Skiing is a fabulous option for those afraid of heights! (Like Me!!) 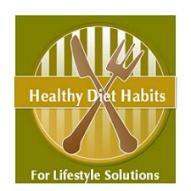 It is a great low stress exercise that provides a full body workout, and burns close to 500 calories an hour! 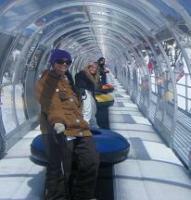 Dog sledding in Truckee is a great family activity, and there are many great company's that offer Dog Sledding Tours. Truckee Ice Skating is one of the great Truckee Winter Activities for kids and families! 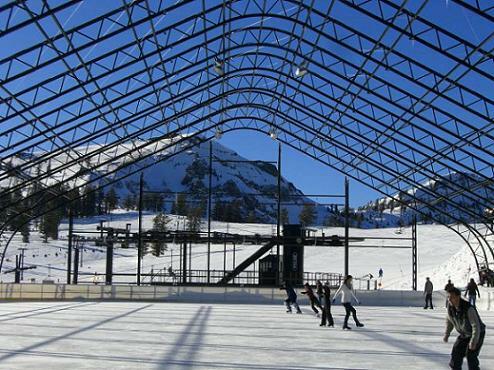 Truckee Travel Guide gives you the scoop on where to ice skate in Truckee and Lake Tahoe. 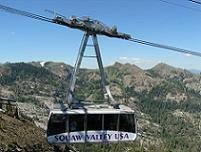 My favorite, because of the amazing views, is up at High Camp at Squaw Valley! 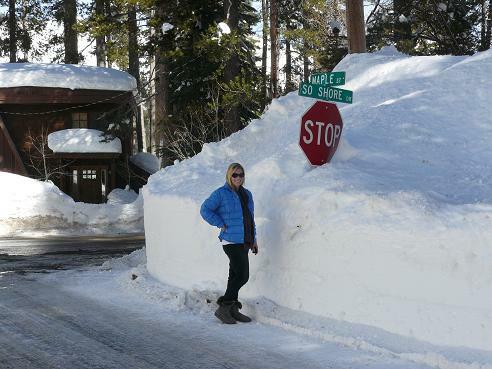 Truckee Skiing in the Perfect California Ski Vacation Town! 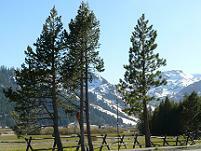 Truckee is a Mountain Town with 2 Ski Resorts of it's own, and is surrounded by other World Class Ski Resorts. 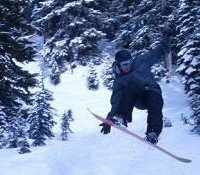 Snowboarding at one of the Truckee Ski Resorts, or Lake Tahoe Ski Resorts Terrain Parks is extremely popular, especially with the younger generation! 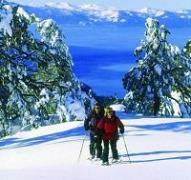 Snowshoe Tours and Trails abound in the Truckee and Lake Tahoe area! Many of the Cross Country Centers offer Snowshoeing! 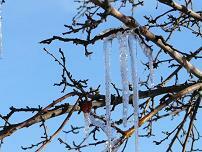 This is another great activity for those afraid of heights! Truckee Snowmobiling - Truckee Travel Guide will let you know where the Snowmobile Tours & the Snowmobile Trailheads are located in the Truckee and Lake Tahoe area. Truckee Snowtubing and Sledding is a blast, whether you find the nearest hill, or head to the snow play area at one of the nearby ski resort areas!